In October, Apple CEO Tim Cook promised to add 25 new retail locations in China in the coming years. This week, one of those stores now under construction took on a familiar look, according to ifo Apple Store. 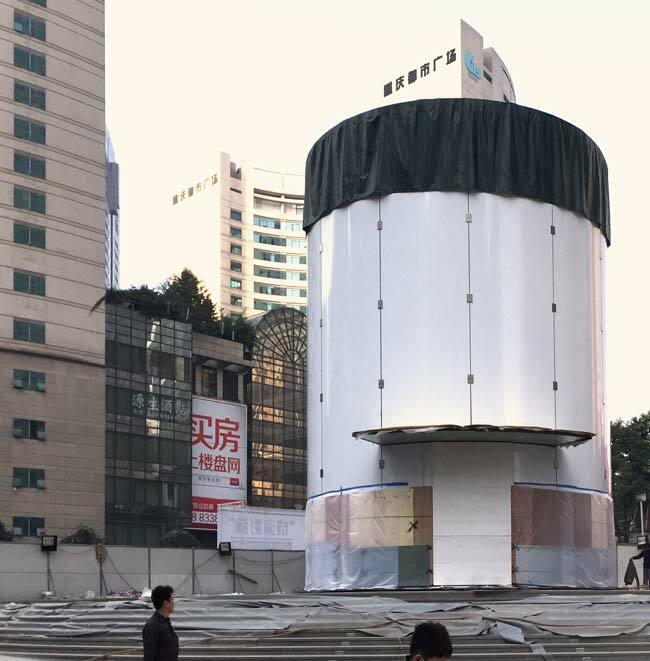 The new Apple Store in Chongqing, China shows what appears to be a smaller version of the company’s iconic glass cylinder that’s a key feature of the Shanghai store. This design, for which Apple holds a patent, features glass pieces that are curved to form arcs. These panels are then joined to create a cylinder. Last month workers dismantled the huge steel structure that has been covering the entrance for nearly the past year, revealing a 30-foot tall glass structure that will lead to the underground store. The entrance is set in a plaza and surrounded by tall buildings, a setting similar to the Pudong store, but on a smaller scale. This will be the second Apple store in Chongqing. The first store opened in July 2014. 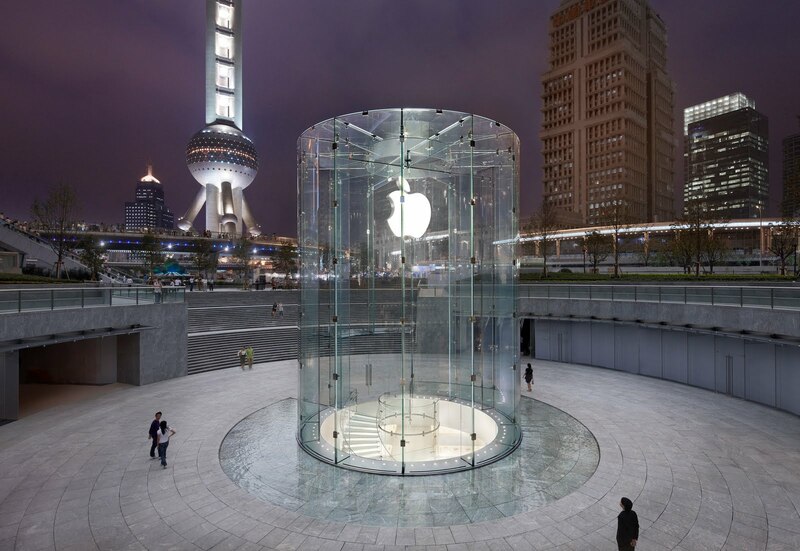 There are currently 13 Apple retail stores in China, according to Apple’s official retail store list. Apple is the largest mobile brand in China, according to a November 2014 survey.